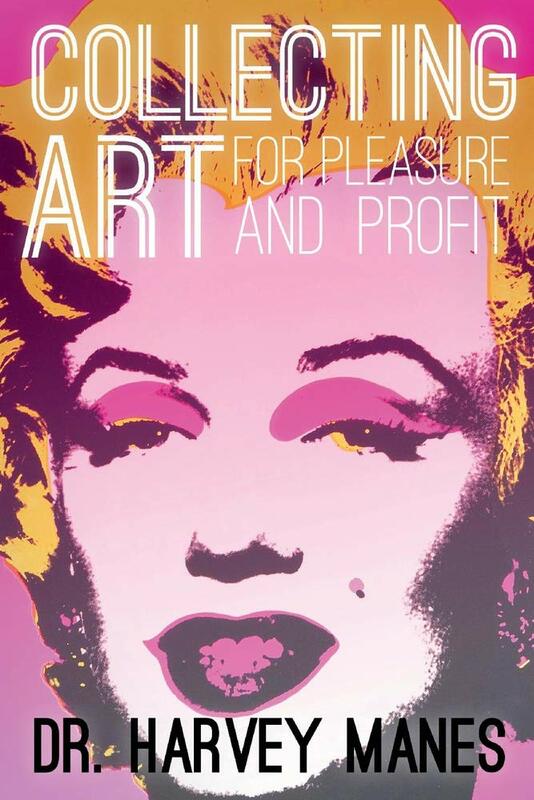 Dr. Harvey Manes is the author of "Collecting Art for Pleasure and Profit." Long Island, NY - November 21, 2018 - Dr. Harvey Manes is an orthopedic surgeon with a degree from SUNY Downstate College of Medicine and holds a law degree from Hofstra Law School. In addition, Dr. Manes – an Old Westbury resident – is also a passionate art collector and historian, and sits on the board of the Nassau County Museum of Art. To add to his already impressive list of accomplishments, Dr. Manes is also a prolific writer; his new book, Collecting Art for Pleasure and Profit, represents his 10th published work thus far. Previous tomes authored by Dr. Manes cover a wide and diverse array of topics, from the medical field and physical therapy to politics and the Nobel Peace Prize; clearly, as an author, Dr. Manes is a true jack-of-all-trades. Growing up in a very modest area of Brooklyn, Dr. Manes grew interested in art at an early age; while none of his childhood friends were interested in visiting museums, he often went with his father on the weekends to marvel at the works of the masters. It was something that would influence him for the rest of his life, he said. Dr. Manes noted that when he first started collecting 30 or 40 years ago, the marketplace for art was very different then it is today; prices, while still high, were actually far more reasonable, allowing him to amass a significant and varied collection representing the work of artists such as Picasso, Warhol, and others for a fraction of what they're worth today. Throughout the years Dr. Manes has acquired a very large collection of work that he lovingly displays throughout his three homes. However, in keeping with his philanthropic nature, he notes that he has no desire to horde all of these beautiful creations simply for his own edification; indeed, he frequently loans various pieces out to a variety of different museums, including the Nassau County Museum of Art, where he is currently a Trustee. Given his many years of experience in collecting and researching art, Dr. Manes decided that it was finally time to add to his growing body of literary work by writing a book about his most beloved and cherished pastime. Thus, we come to the publication of Collecting Art for Pleasure and Profit, available as of November 19th through Amazon.com. The book offers an engaging and personal account by Dr. Manes, covering many aspects of buying and selling artwork, as well as a good dose of the history behind many of his favorite pieces as well. Proceeds from the sales of Collecting Art for Pleasure and Profit will be going to the Manes Peace Prize Foundation, an organization founded by Dr. Manes that donates funds to charities, individuals and organizations that promote peace through art and education, as well as the Manes Art Foundation, which loans pieces of his collection to various museums. When it comes to viewing art as a potential money-making opportunity, Dr. Manes notes that buying the right pieces by the right artist at the right time can offer a more sound investment than even the stock market, believe it or not. However, spending your money wantonly and without purpose when it comes to investing in art is an unwise decision, Dr. Manes said. But Collecting Art for Pleasure and Profit isn't merely about dollars and cents; Dr. Manes also expresses his love and appreciation for the rich history of art throughout the ages as well. Dr. Manes has also dabbled in creating artwork himself, fancying himself a sculptor in mediums such as stone and clay; he's even held several exhibitions of his work, with the attendees coming away quite impressed by his offerings. While it's too close to the publication of this book for Dr. Manes to be already contemplating what kind of tome he may author next, he is more than sure yet another one will come sooner rather than later. “Something else will pop up, I'm sure,” he said. To order Dr. Harvey Manes’ Collecting Art for Pleasure and Profit from Amazon.com, please click here. Subject: LongIsland.com - Your Name sent you Article details of "Art Expert and Long Island Resident Dr. Harvey Manes Discusses the Release of His New Book, “Collecting Art for Pleasure and Profit”"